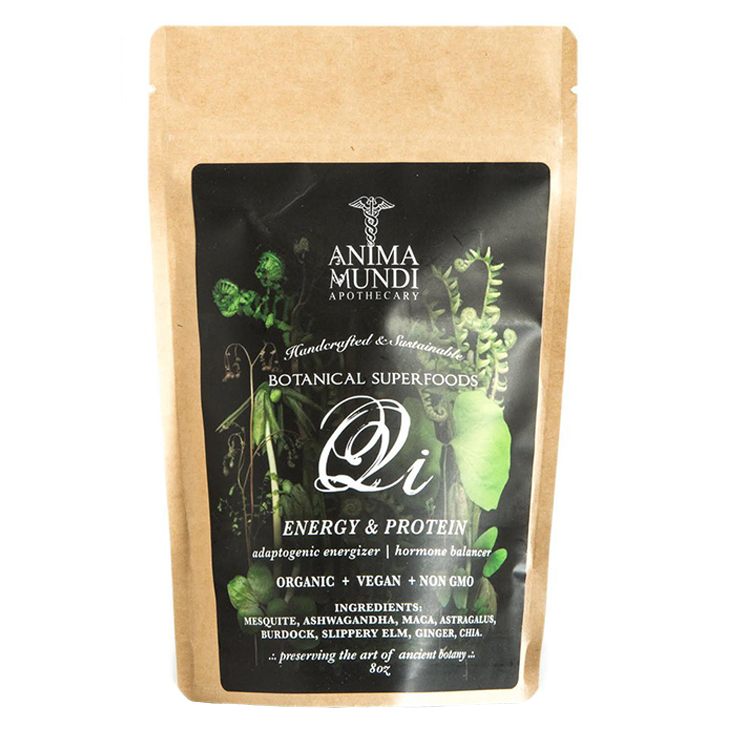 Designed specifically for those dealing with feelings of stress, low energy, and imbalance, Anima Mundi Qi Energy + Protein Superpowder is a nutrient-rich addition to a daily health regimen. 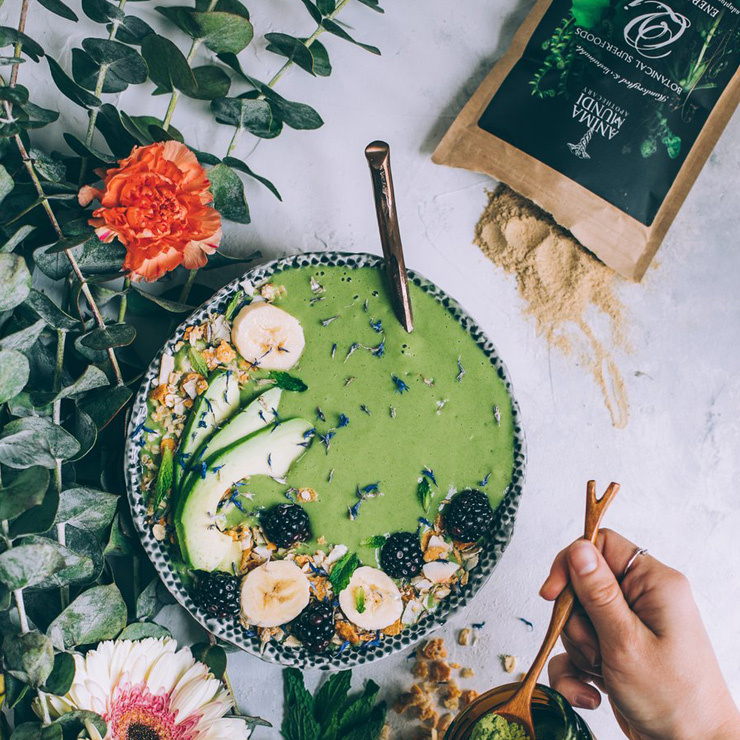 Formulated with superfoods used in Central and South America, this supplement powder contains carefully selected ingredients to increase feelings of stamina and good health. Ashwaganda diminishes feelings of stress, anxiety, depression, hormonal issues, and fatigue, while maca increases a sense of boosted energy, improved mood, and better memory. Astragalus and ginger tone down the sensation of inflammation in the body, and burdock makes skin and joints look and feel revitalized and youthful. Add 1-2 tablespoons of supplement powder to smoothies, juice, or tea. Perfect for times of stress, low energy, and travel. For best results make this blend a part of your daily routine. Mesquite, Ashwagandha, Maca, Astragalus, Budrock, Slippery Elm, Ginger, Chia.